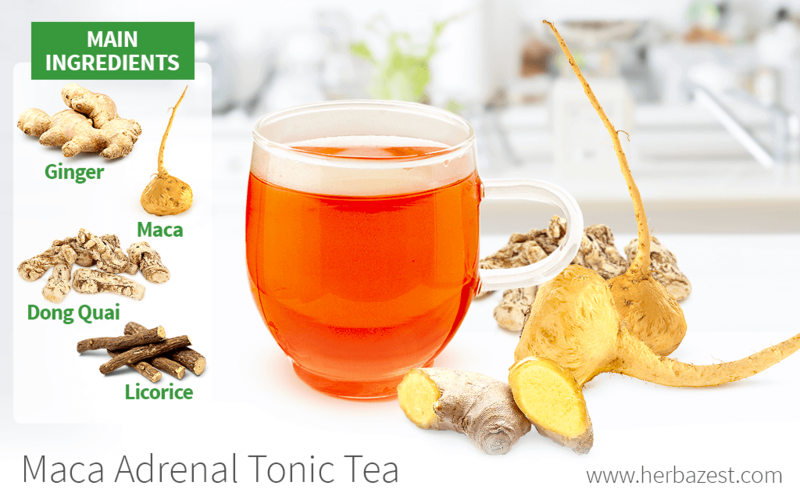 The unique blend of herbs in this adrenal tonic tea is specially suited to help relieve menopause symptoms, from hot flashes and vaginal dryness to low libido and fatigue. This decoction in excellent for restoring hormonal balance and combating adrenal fatigue. Place all ingredients into a saucepan and cover with cold water. In order to reap the best benefits out of this tonic tea, it is recommended to follow a loading period of one week, drinking two cups after each meal (up to six a day), and to cut the dosage in half during the maintenance phase.